You’ll also be able to take a look at Movies Coming Soon and Movies Opening This Week and easily switch between the three. We’re hoping this is useful to those of us who catch movies at theatres too. True-blue Netflixers: if you see something you like, you can add it to your Queue. If a movie is also set to come on Instant Watch, you’ll be able to sign up for a reminder. 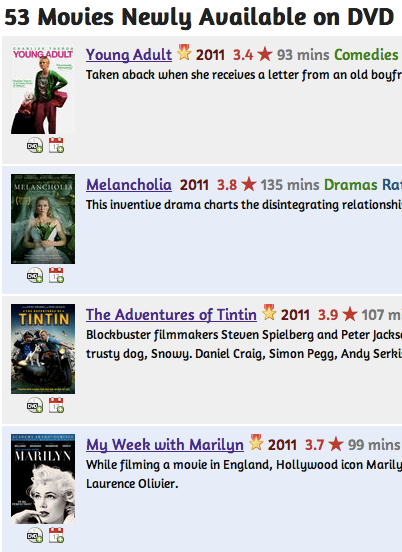 Data for this comes from the good folks at Rotten Tomatoes.